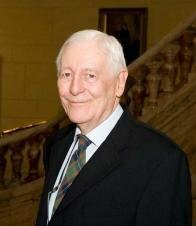 We note with regret the death of Lord Avebury at his London home on 14th February. The sole Buddhist in the House of Lords, which he had entered with a title inherited from a cousin in 1971, he was a champion of many causes connected with human rights. Born Eric Lubbock, he joined the Liberal Party in 1960 and won the Orpington by-election in 1962 with a surprise swing of nearly 22%. After he lost the seat in 1970, he reluctantly continued his political career in the House of Lords. While an MP he was among those who sought a review of the Timothy Evans case (during which Christmas Humphreys had been prosecuting Counsel). Evans was subsequently granted a posthumous pardon. Lord Avebury also represented Amnesty International in Sri Lanka in 1971, where there were 15,000 people in detention without trial. In 1976 he founded the Parliamentary Human Rights Group and chaired it for the next 21 years, continuing as its Vice Chair thereafter. A later Buddhist involvement was acting as Co-Chair of the Chittagong Hill Tracts Commission, promoting implementation of the 1997 Peace Accords with the Bangladesh government. After the founding of Angulimala, the Buddhist Prison Chaplaincy, in 1984, Lord Avebury actively involved himself in its work and was eventually invited to become its patron. In 1987, as a jocular protest against the cost of cremation, he offered to leave his body to London’s Battersea Dogs’ Home. On being advised that the dogs would probably accept but the home’s management would not, he made the same offer to the cats. His ethical/spiritual sympathies spread far wider than Buddhism. He was a supporter of the British Humanist Association and an Honorary Associate of the National Secular Society. In 2009 the latter named him joint Secularist of the Year (with Evan Harris) for his work in securing the abolition of the blasphemy laws. In 2007 he received the Blomfield Award from the Bahá’í Community of the United Kingdom for “lifelong commitment to defence of human rights”. He was also the first to be awarded the Ahmadiyya Muslim Prize for the Advancement of Peace. In 2010 he received an award from the UK Lesbian and Gay Immigration Group for “selfless, long-term commitment to the pursuit of justice”. Our sympathies are extended to Lord Avebury’s family, who plan a memorial celebration in June. Those wishing to attend are invited to email victorialubbock@gmail.com. Instead of flowers, the family have requested that donations be made to Angulimala, the Buddhist Prison Chaplaincy. This entry was posted in News and tagged Buddhist politicians, Eric Lubbock, Lord Avebury, parliament, politics. Bookmark the permalink.